Sound delicious, doesn’t it? 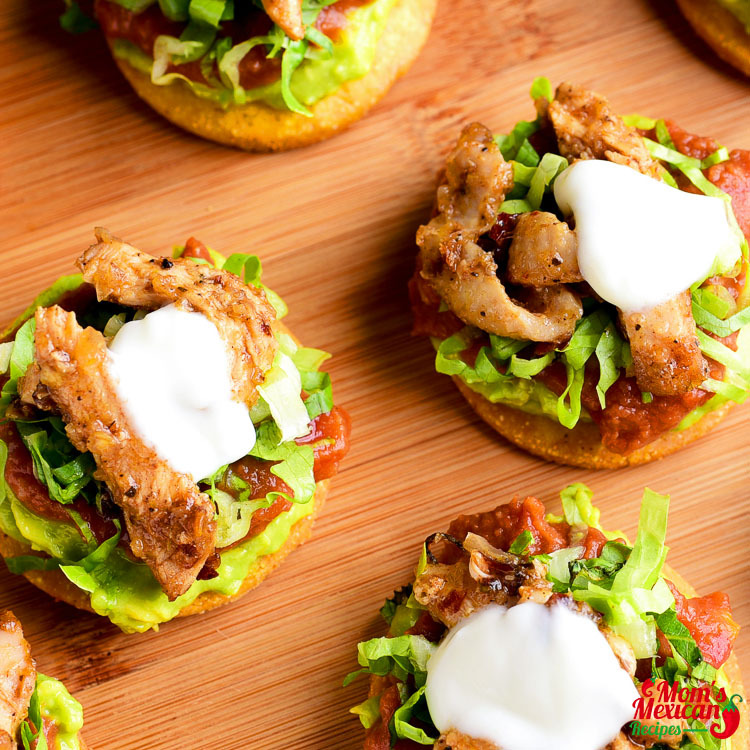 Chicken Guacamole Bean Tostadas recipe is the perfect dish to prepare after a long week. 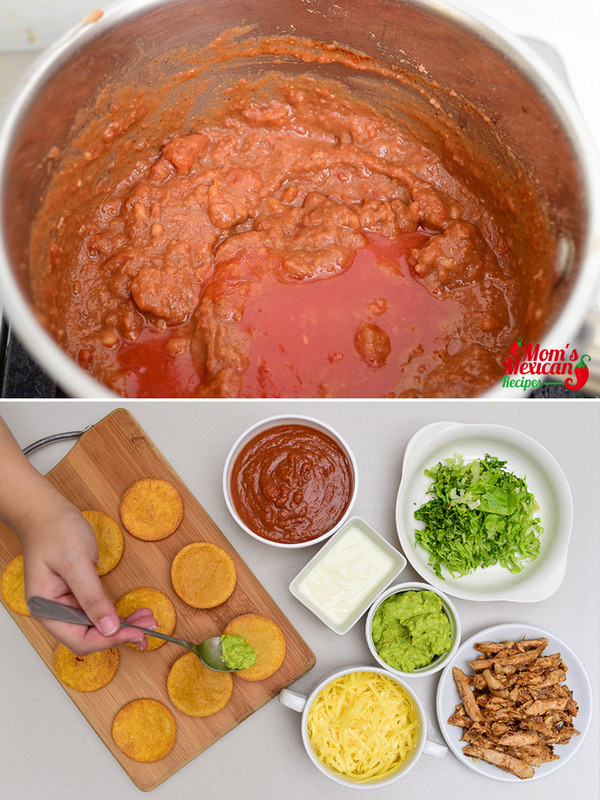 I also made this recipe for many friends and they always love it so I wanted post this one to share with them so they could try it on their own. If you are in a hurry you can buy the canned Refried black beans just make it sure that you will double check the expiry date at least a 2-3 months before it lapse, Used Mojo flavored Rotisserie chicken. This dish had some fantastic unique flavors. I did make one change, instead of frying the corn tortillas just sprayed them on both sides with PAM and baked them in the oven until browned on one side then turn them over to brown on the other side. The cabbage and radish salad add a fresh crunch as the topping. The dressing alone was worth the entire recipe. 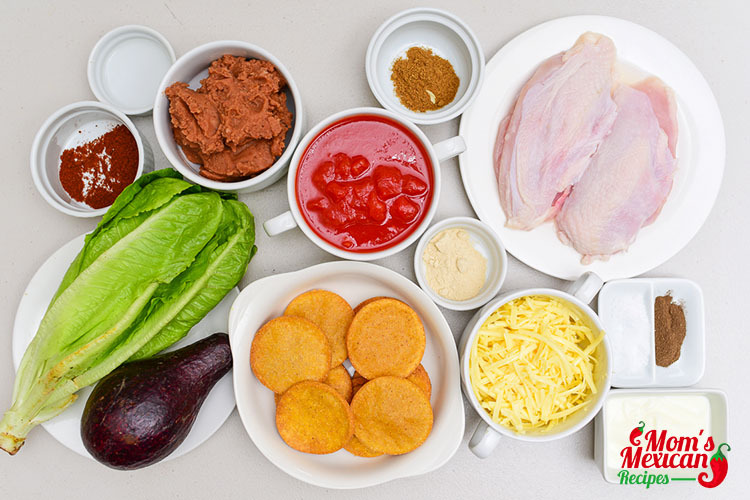 The adobo sauce makes the dressing very spicy, though, so if you don’t like a lot of heat, lessen the amount of adobo sauce or dress each tostada individually, rather than combining the dressing and cabbage mix beforehand. 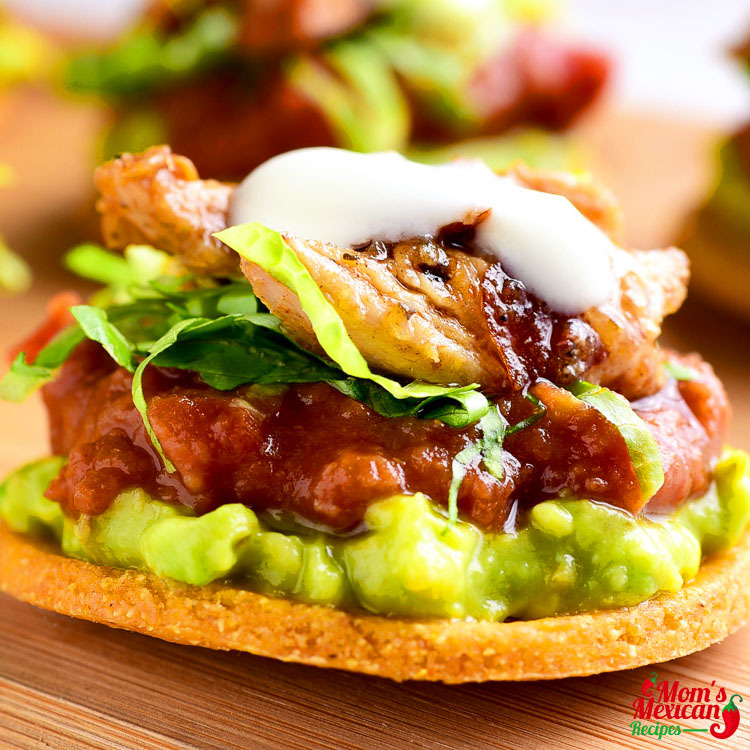 This Chicken Guacamole Bean Tostadas is wonderful! A nice change from the typical Tacos and Enchiladas. I also made a vegetarian version with a little water instead of the chicken broth in the black beans, and just omitting the chicken on top, and that was great as well. You will definitely make it again. 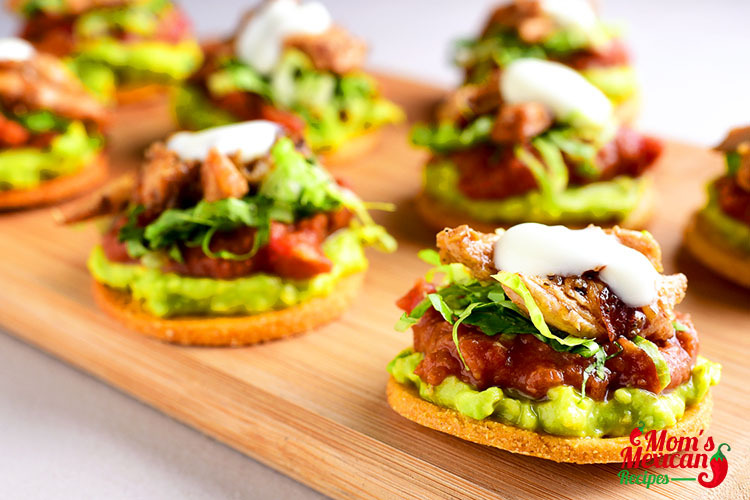 I think the fresh tomatoes truly enhance the taste, and the guacamole gives a special twist on the “Chicken Guacamole and Bean Tostadas Recipe”. Some of the people may notice that why do I need to Smoked paprika? 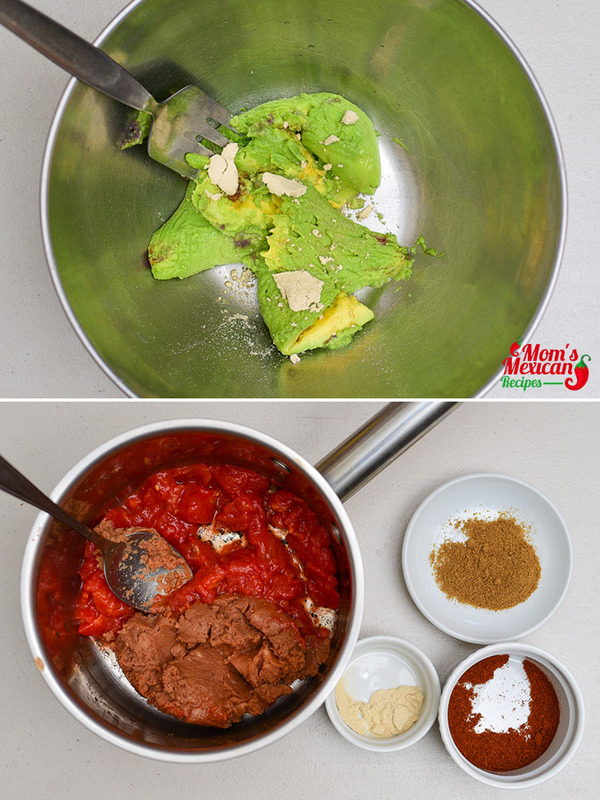 Smoked paprika will rich the chicken tostadas giving the grill-like flavor with no cooking. Serve with lime wedges for the garnish. A simple yet delicious treat for everyone. This recipe is best for weeknights while watching your favorite Netflix series or even a picnic in the park. Enjoy it with your loved ones, Happy tummy!